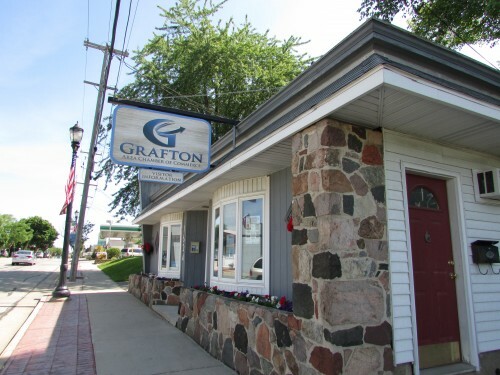 Grafton is a village of 11,459 in Ozaukee County. Being close to Milwaukee, it is close to where all the fun is. 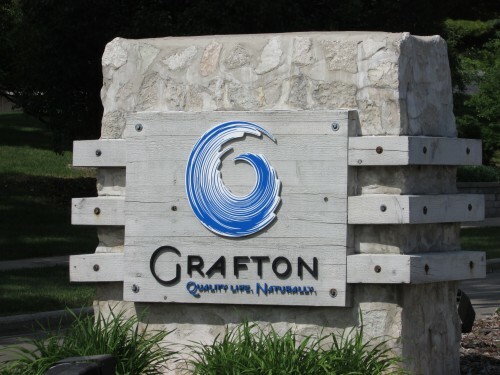 Grafton itself has plenty going on, and found out more after stopping at their Chamber of Commerce to get some information. From their website you can see their latest publication. 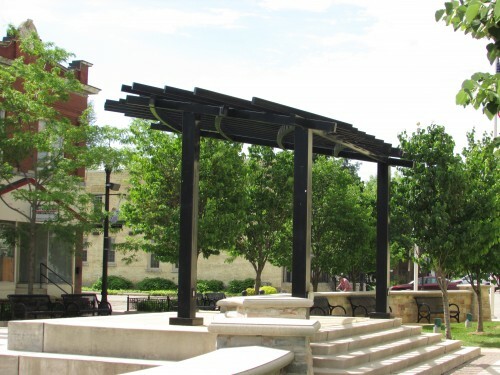 Grafton has a beautiful downtown with many historic buildings. Especially the Hotel Grafton on the right, now an apartment building.. 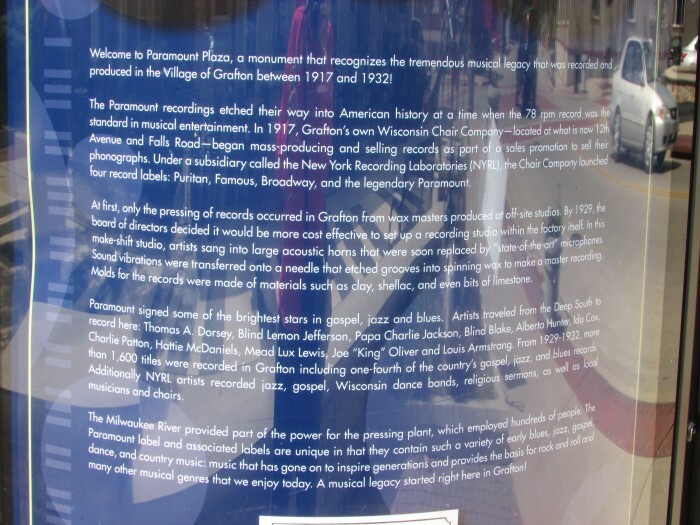 Right here is also the Paramount Plaza and Walk of Fame, honoring famous Blues musicians who recorded here in Grafton. 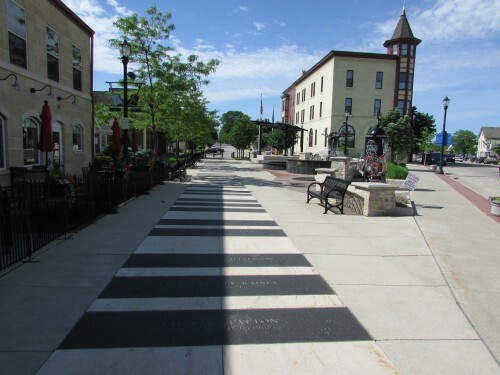 The Walk of Fame is designed like a piano, with the honoree engraved into the black “keys”. 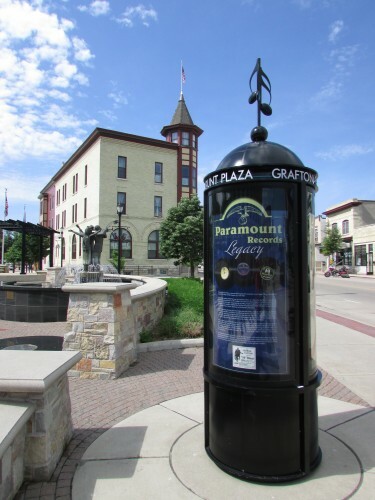 The Grafton Blues Association keeps things happening downtown by hosting the Paramount Blues Festival here, the park even has a stage for performances. 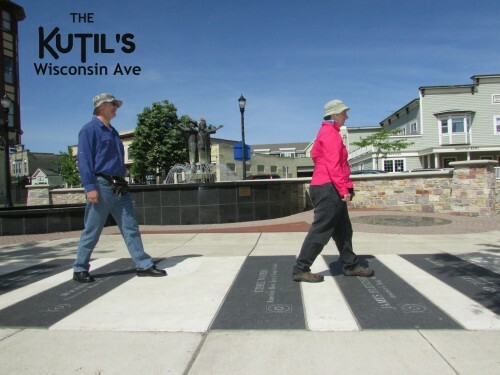 This so much looked like the cross walk in the famous Abbey Road album by the Beatles we HAD to recreate that here. 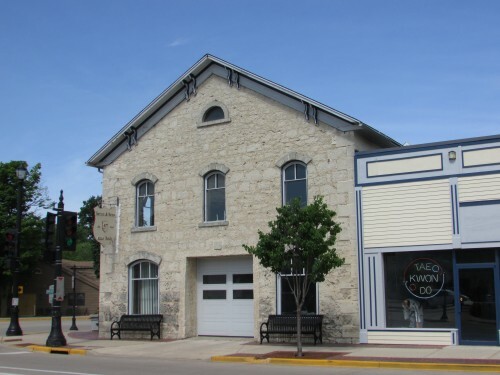 Many other interesting historic buildings downtown house a wide variety of businesses. 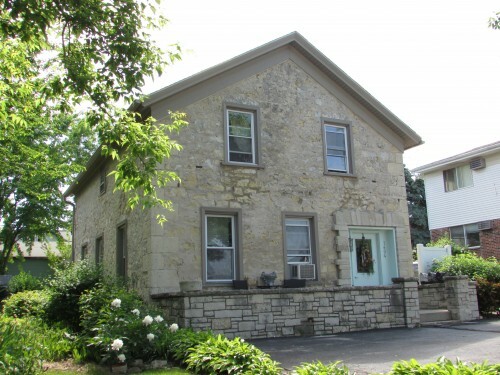 Heinz and Sons Auto Body in this beautiful stone building. Bloomin’ Olive Floral and Gift Gallery and Solari Salon in another stone house. 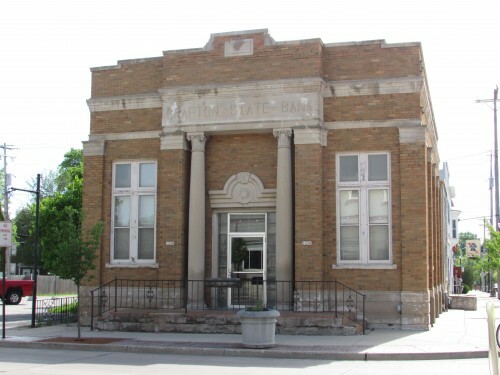 The former Grafton State Bank building, currently empty but still impressive. 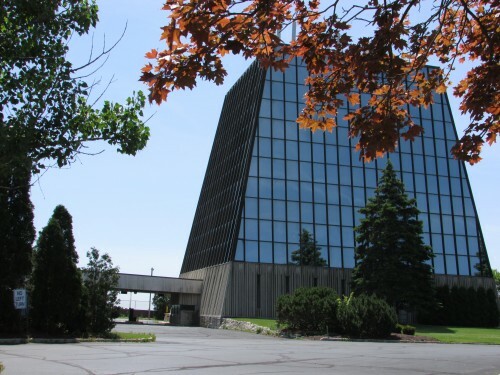 The West Falls Center has the distinction of being the tallest building in Ozaukee county and being on a hill makes it more so. It’s 7-stories tall and looks like a flat-top pyramid. It was built in 1973. 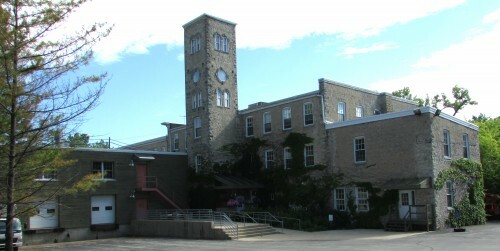 Especially interesting are the former flour and woolen mills, now the hub of art in Grafton. 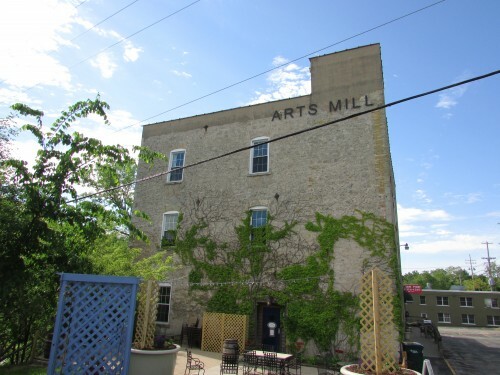 The Arts Mill used to a flour mill and later a woolen mill, now grinding out great works of art. 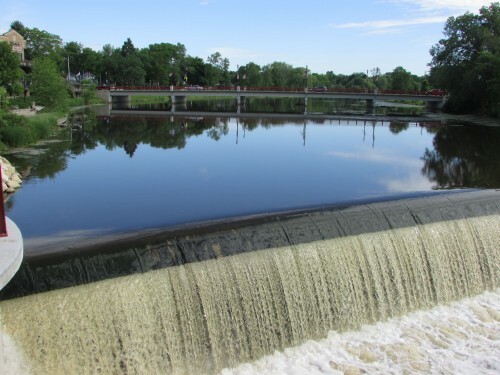 Across the street is the Riverwalk along the Milwaukee River, and an overlook with a great view of the dam. 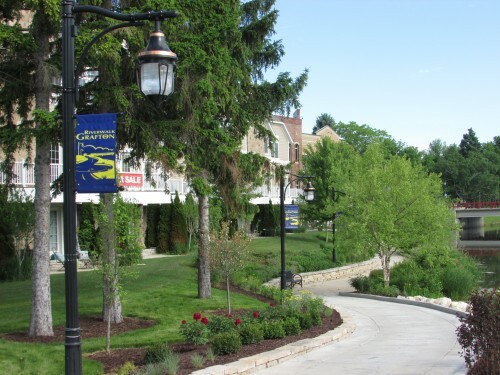 Grafton is the place to go for great art, music and scenery. Come spend a day, or a week!